Kim Kardashian kids: Saint West tells his mum to cover up. Kim Kardashian may be a media mogul, multi-millionaire and mum-of-three, but that doesn’t stop her first-born son from trying to get his way with her. Kim, who has North, five, Saint, three, and Chicago, 14 months, with husband Kanye West, recently told Us Weekly, that Saint is sometimes concerned about what she wears. “My son is actually so overprotective of what I wear,” the 38-year-old said. Kim added that Saint is fairly vocal about his feelings, too. Perhaps the poor child is worried his mother will get cold? Kim doesn’t think that’s the case. “I’ve never seen someone so overprotective,” she said. Kim further explained that Saint can tell when she’s got a “whole look” together, and comments on her hair and accessories, too. 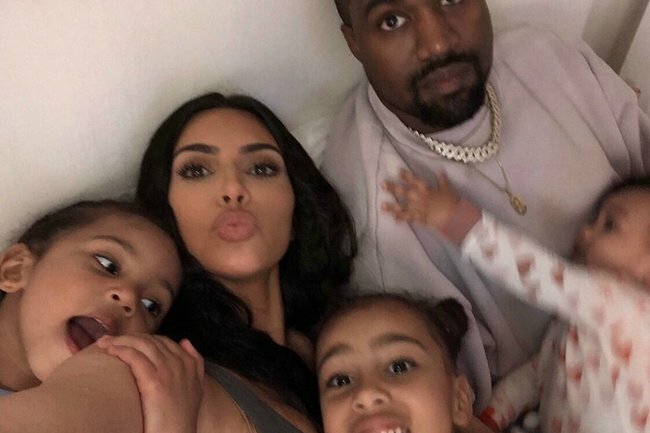 It’s been reported that Kim and Kayne are expecting a fourth child via surrogacy, which is why the mum recently discussed how her maternity style would be different these days. “I was wearing fancy looks like Givenchy, lace, and Valentino when I was pregnant with North, so I had to wear heels and it was the worst,” she said, noting that she wasn’t ever able to wear flat shoes, including the Yeezy sneakers her husband produces. The reality star said that now ‘athleisure’ is cool, and she wished it was during her pregnancies, as it would have been “so easy”.